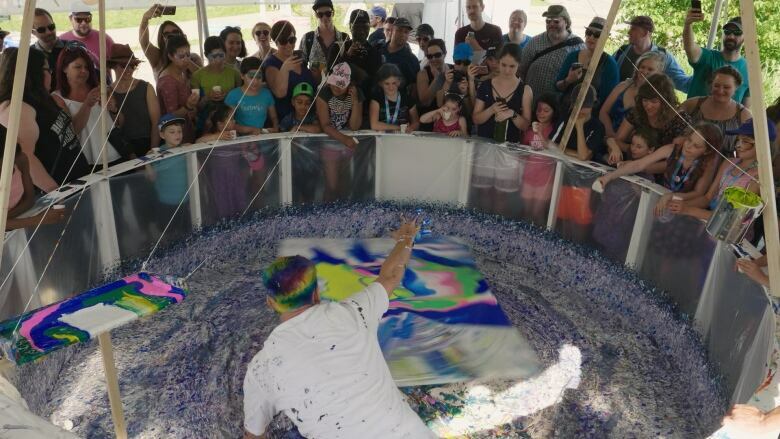 You might remember Callen Schaub's work from the CBC Arts feed way back in 2017, when we showcased his spinning and splashing way of creating paintings. 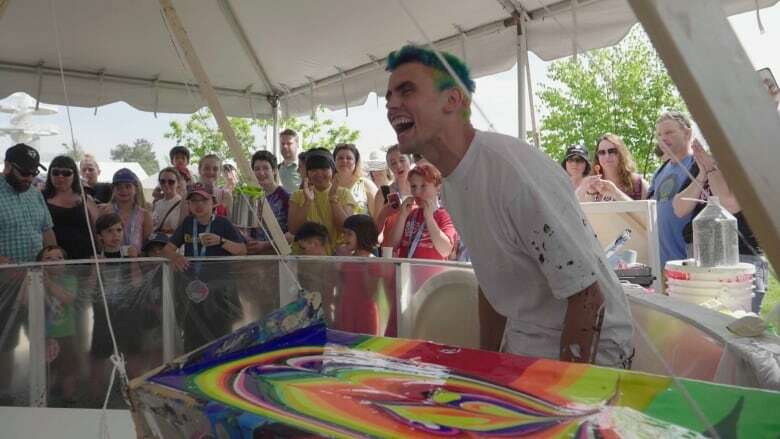 Now, a year later, he's taken his work out of the studio, all the way to a live performance at an event that engages the audience in his process: the CBC Music Festival. 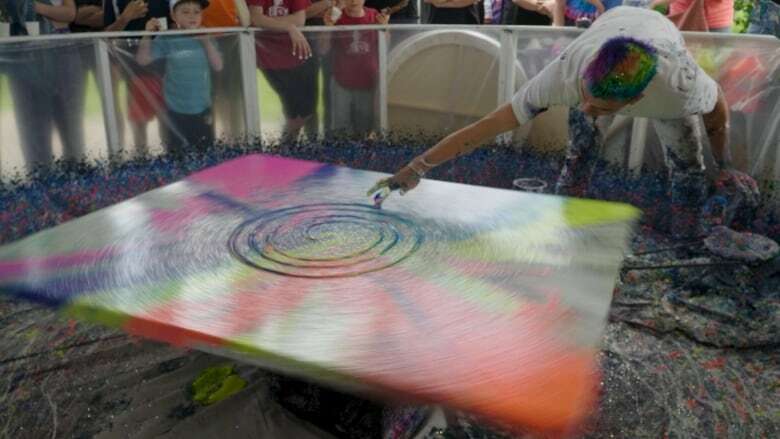 Schaub calls his traveling studio "the arena," and it includes all his spin painting gear — his spin machine, his bicycle and his swinging trough, along with cups of glitter he hands out to some very eager participants. And doing these sorts of live painting sessions have helped the artist discover that in his work, the "event" can be as important as the end result. Schaub likens his finished products to snapshots, a recording of his making of the painting. So having people experience the process and witness the piece coming to life can be an integral component of his work. In this video, you get to sit in on the whole experience, while Schaub not only creates his dynamic work in public but lets us in on some of the issues that come with making abstract paintings — like "when do you stop?" Schaub hopes to continue touring his live painting around the world and use it to inspire others, especially youth. You can follow him here and see him performed in his new exhibition, Unfazed, at Joseph Gross Gallery in Los Angeles, California.